Is it important to clean the siding of your house? Building energy efficient houses is no longer a tedious task. With the help of technology and skilled professionals, it is possible to construct one ease. Transformation is the key to success, and you can achieve this by opting for vinyl siding. The addition of the siding to the exterior of the house not only provides protection but also increases the value of the property significantly. It is common to come across all the seasonal changes regardless of the location. However, it is imperative to select an appropriate siding that offers protection, increases the appearance of the house, and makes it energy efficient. Siding provides protection to the house from several outside elements. 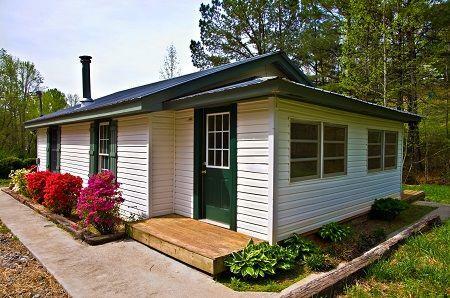 It is a reasonable option for those who are looking to create a classic outlook of the property. Of all the options available, vinyl siding is preferable. The reason is that it stands against intense heat, resists humidity, and is economical. Another advantage of utilizing the material is the protection it provides in cold weather. The product is available in numerous varieties, textures, and colors. Therefore, it is appropriate for any house owner to pick an apt variant that enhances the overall appearance of the structure. Vinyl siding is a low maintenance option, but it should be cared for depending on the season. They become dirty from several elements present in the weather, pollution, and dust. It is vital to clean it completely to maintain originality and retain the actual properties, which help in increasing the lifespan. Cleaning the siding is a simple procedure. It requires a mild detergent, hose, and sponge. It is also possible to use a power washer to eliminate the grime accumulated on the surface. However, the washer nozzle may not reach all the areas. In such instances, it is excellent to opt for the old-fashioned cleaning procedure where you will be using the detergent and the sponge. If you are using the power washer, reduce the pressure so that there is no damage to the siding. There is no particular time for cleaning the vinyl siding. Depending on the frequency of the dirt you notice, you can set a schedule of the maintenance or cleaning the sidings. In addition to this, make sure that the tree branches (if any) are not causing any scratches on the surface. If you do not keep an eye on this, there is a high chance of leaving a dent in the structure, which leads to the development of moisture in the exterior sheathing of the house. Such an action deteriorates the sheathing within no time. Wind can also cause damage to the vinyl siding. If there is damage, it is preferable to replace the entire piece and fastened securely to the exterior of the house. It will thus prevent further damages in the future. Several companies provide maintenance services to properties that already have vinyl sidings. Selecting one is preferable if you are not sure that you can clean the siding by yourself. These professionals use appropriate equipment and have a good understanding of the sidings, which helps them in tending to the need in an appropriate manner. Searching the Internet is a great way to look for reputable companies or service providers in your region. Spending some time is essential, as it is important to opt for a reliable company that functions in the best advantage of the client. A reputed company with trained staff helps in cleaning the siding with ease using appropriate equipment. Once you select the service provider, the inspector arrives at your doorstep to perform a thorough inspection that speaks about product failure. It will also give a chance for the expert to understand the structure, the installation, and any presence of internal structure damages. If there is a requirement of cleaning, after the inspection, the service provider arranges for the cleaning team at a scheduled appointment. They arrive at your doorstep bringing all the equipment necessary to clean the grime accumulated on the surface. Depending on the instructions provided by the inspector, they begin the cleaning procedure without causing any damage to the structure. Cleaning solutions vary according to the building and can be altered by the presence of mildew and mold. Opting for professional service is preferable, as you may not have the needed equipment to clean the vinyl sidings. Moreover, as you do not understand how much pressure you can exert, you can cause further damage to the property. Unlike another maintenance requirements, cleaning vinyl siding is cost effective. Additionally, depending on the provider you partner with, you can strike a good deal. You can only take into account the cost efficiency once the inspector from the selected provider arrives at your property and performs a thorough inspection. Nonetheless, siding maintenance of your house or property is no longer a big deal with the presence of caretakers offering packages at an affordable price. 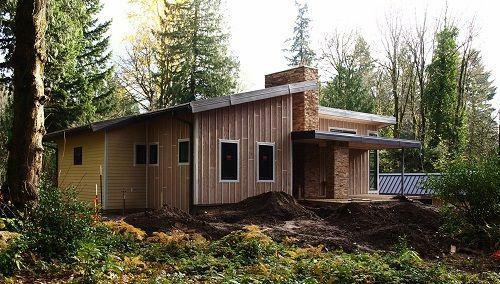 If you are searching for a leading service provider, who can offer you reasonable and reliable maintenance of siding, Check out EvoSiding who operate in Portland OR and Vancouver WA. They have a reputation for providing customer-centric service at competitive pricing. Maintenance of the siding not only helps in keeping the property in good shape but also extends the lifespan. 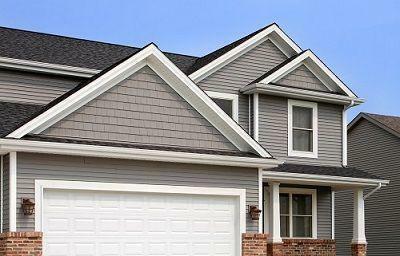 Vinyl siding is the beginning towards building a better home that is comfortable and energy efficient. Contact the professionals to learn more about the services rendered and how they can provide additional assistance.